To get recruited, you need exposure. In other words, coaches need to see you. But college coaches have a lot on their plate. Even if you’re a great athlete, unless you’re in the top 0.1% in the country, coaches will not know about you. That is, until you tell them. 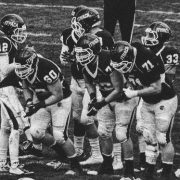 If you want to get recruited, you have to take the initiative and start the conversation. At SportsRecruits, we are always digging into the data to give our members an edge. Ever wonder how many schools kids that commit contacted? Ever wonder how many messages committed kids sent? Thanks to technology, we have those answers. Read on! Take a look at this graph. It illustrates that athletes that send more messages also receive more profile views from college coaches. People will fly across the country to “get exposure,” when they can “be seen” while sitting on their couch at home. Please do not be lazy when it comes to your outreach to college coaches. 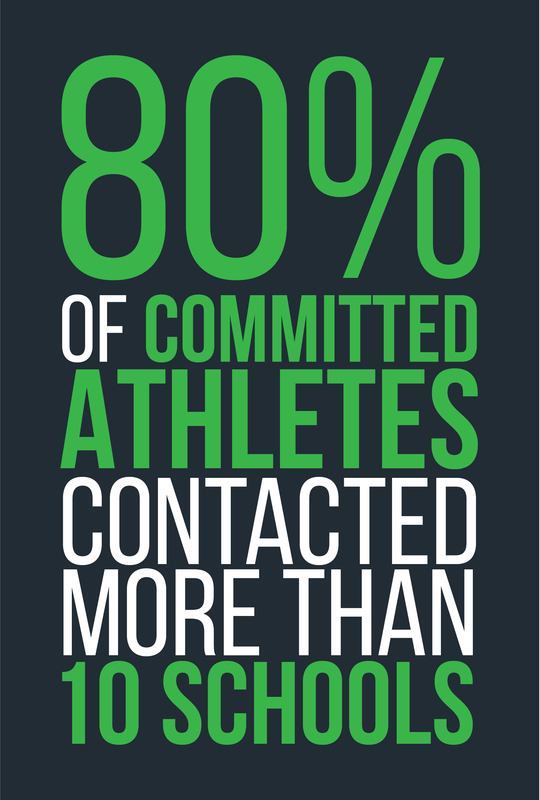 80% of committed athletes contacted more than ten schools on the SportsRecruits platform. 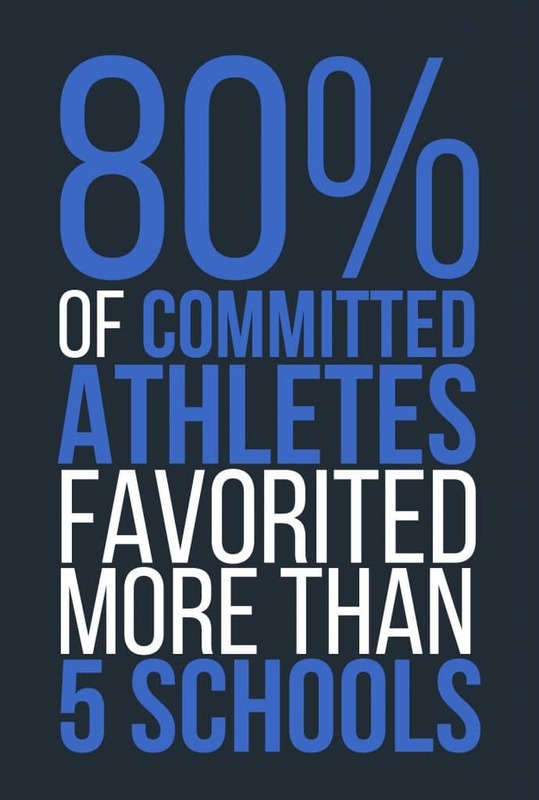 50% of all committed athletes contacted more than thirty schools. 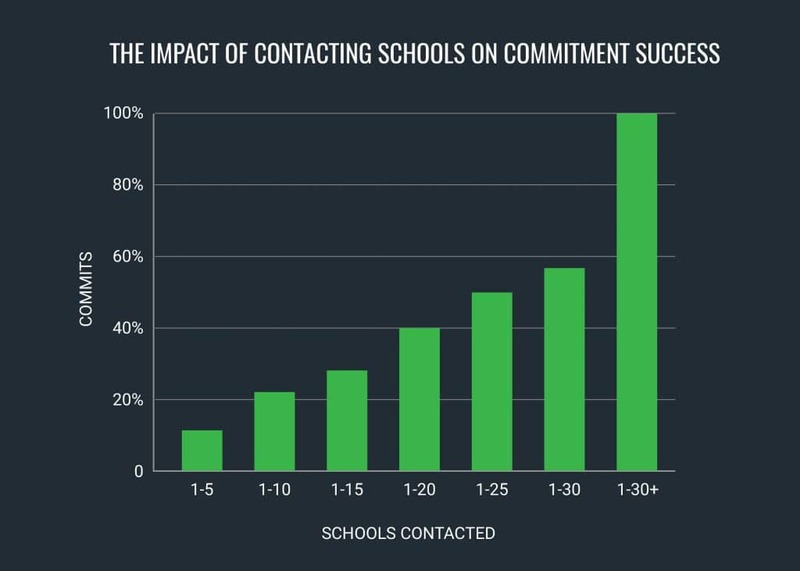 The link between contacting coaches and commitment success is clear. If you want to stack the deck in your favor, put yourself out there and contact your target list of schools. 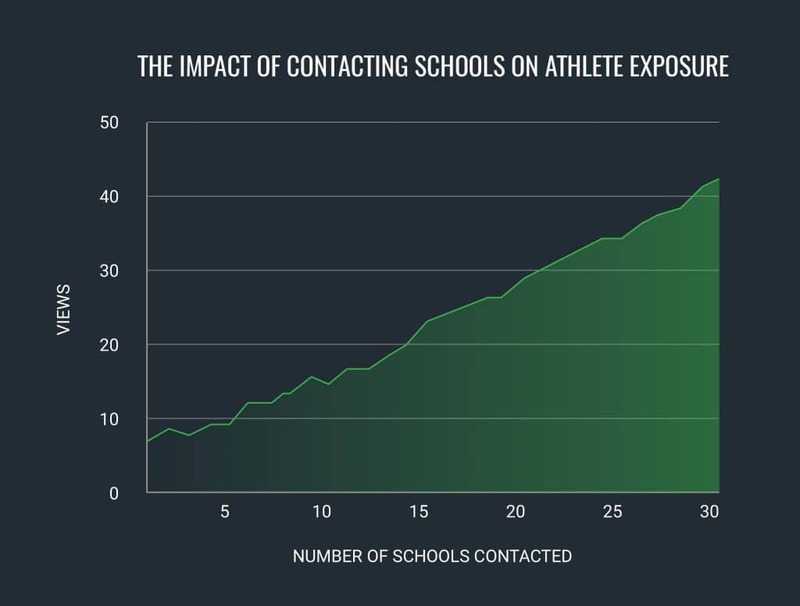 You can guarantee exposure from college coaches by messaging them. 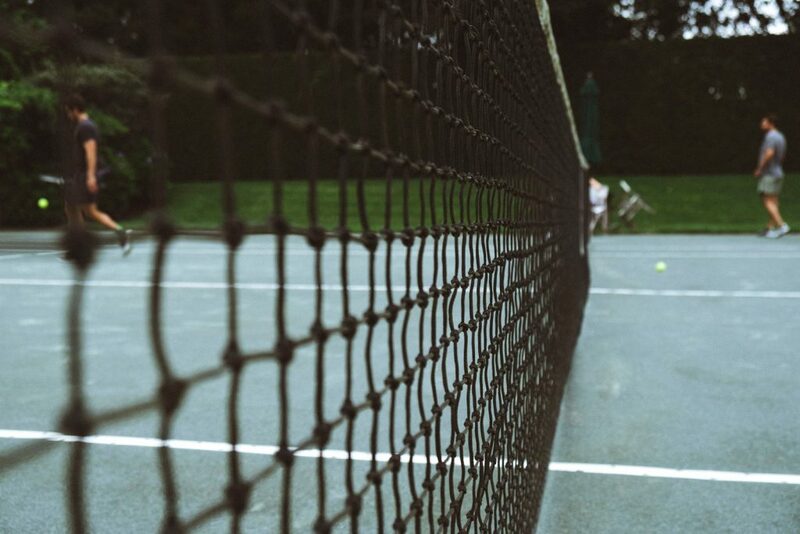 The simplest way to get on a coach’s radar is to ask. You can control the outcome of your recruiting process. Don’t wait for coaches to come to you. Proactively reach out to them. As a SportsRecruits member, every college program in the country is a click away. It couldn’t be easier to put yourself out there. Not only that, but you see in real time as college coaches view your profile and watch your video. Great! This all sounds well and good…until the anxiety sets in. The prospect of contacting a collegiate coach is daunting. They’re adults and belong to a prestigious program. What do you say? Where do you start?! We want to empower you to contact coaches with confidence. To do this, we’ve compiled this comprehensive post covering everything you need to know about contacting college coaches. We’ve included links to our blog posts covering a range of topics you may have questions about when it comes to contacting coaches. You can use the Table of Contents to jump to the topics that interest you, or read in chronological order if you’re at the start of your recruiting process. 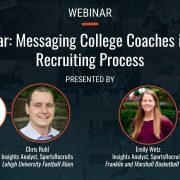 To start getting the exposure you deserve from college coaches, you have to begin by sending messages. But where do you start? You can’t send a message before first identifying who it is going to. Step one is to make a big list of your favorite schools. Notice that 80% of committed athletes favorited over five schools. 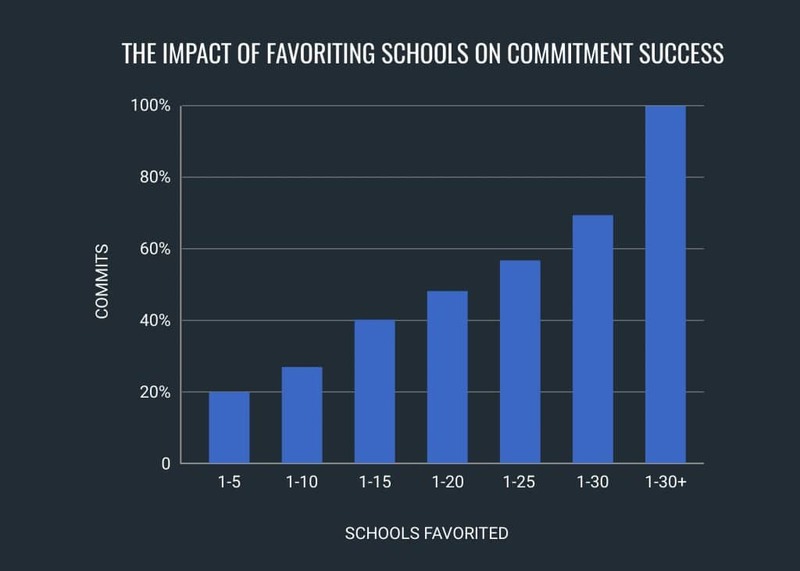 Favoriting schools is correlated with athlete commitment success, much like contacting schools. This is because the actions of favoriting schools and messaging them go together. How can you know which coaches to contact if you haven’t identified your target schools? On the flip side, once you’ve found your dream schools, how can you not be excited to get them to notice you? 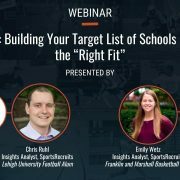 Just adding a school to your target list is not going to do it…you need to take the leap and reach out to those programs! The first step is to find the schools that interest you. Then you can take the next step and start the conversation. Here are some resources that will help you do that. There is not a single NCAA rule that keeps you from chasing your dreams. 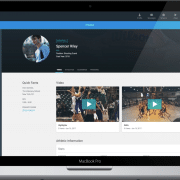 No NCAA rule is keeping you from inviting a college coach to have a look at your profile and watch your video. You have a list of favorite schools. You’re beginning to imagine filled stadiums, hilly lawns, and old buildings. College. You can’t help getting excited. You’re ready to take the next step and talk to some coaches. But something’s keeping you from going for it. Is it too early in your process? 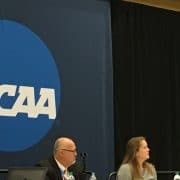 Will sending an email break an NCAA rule?! Are coaches even allowed to talk to you?? Athletes are allowed to reach out to college coaches whenever they want. There is no rule against student-athlete outreach. 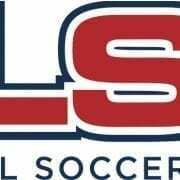 Contact coaches as soon as you’ve identified programs that seem like great potential fits for you academically, athletically, and socially. Think of the recruiting process as a learning process. Contacting coaches kickstarts the process through which you discover your dream school. The combination of campus visits and conversations with college coaches will help you find the school that will be a home. Here are some additional resources to put your mind to ease. In this section, we will prepare you to write the perfect college-coach-approved message each and every time – wherever you are in your recruiting process. It’s important to remember that recruiting is about communication – and communication is a two-way road. Put yourself in the college coach’s shoes. Understanding how your message and profile may look to a college coach may lead you to reevaluate your approach. 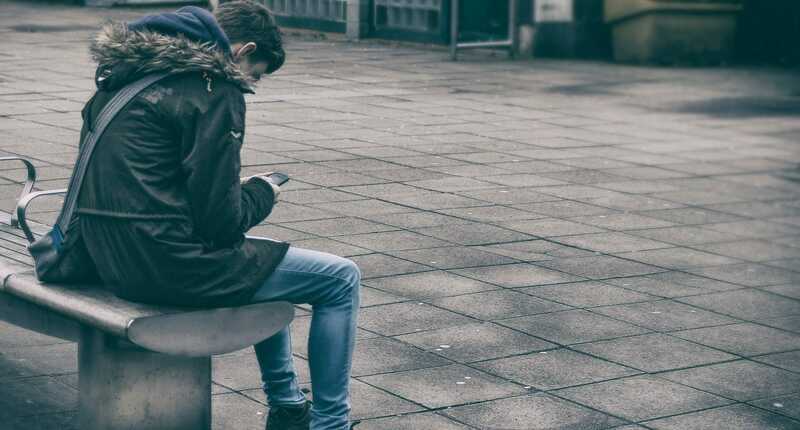 Another thing to keep in mind is that your email may be the first point of contact that a college coach has with you, but it is not likely to be the last. 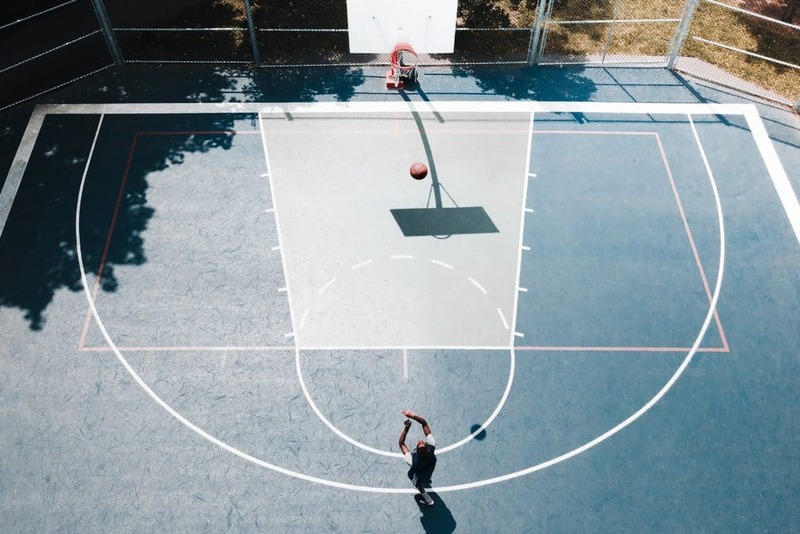 Coaches evaluate your character based on the components that you present them with (your emails, your online profile, video, statistics, transcripts). But that’s not all. 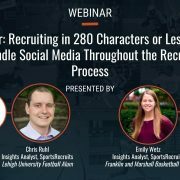 More than ever before, college coaches are now scouring social media to deepen their understanding of a prospect’s character and personality. With this in mind, don’t forget to screen your social media presence. Review your accounts as though through the eyes of a college coach. If they don’t pass this test, adjust your content accordingly. Exercise good judgment. A social media post is not worth jeopardizing your college placement. There’s no way around it. If you want to commit, you should be sending college coaches messages. Take it from our unmatched proprietary data compiled from thousands of committed athletes: you’re at a disadvantage if you haven’t sent a message. 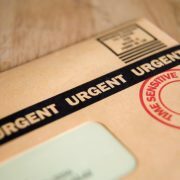 We hope this article helped put your mind at ease about what you have to do to kick your recruiting into overdrive… but don’t stop there. Don’t walk away from this article feeling enlightened, only to forget about it. Do something. Dedicate yourself to your dreams. Start contacting college coaches. Take control of your recruiting process. If you’d like more recruiting guidance, we have just the thing for you. Download your free interactive recruiting guide today.